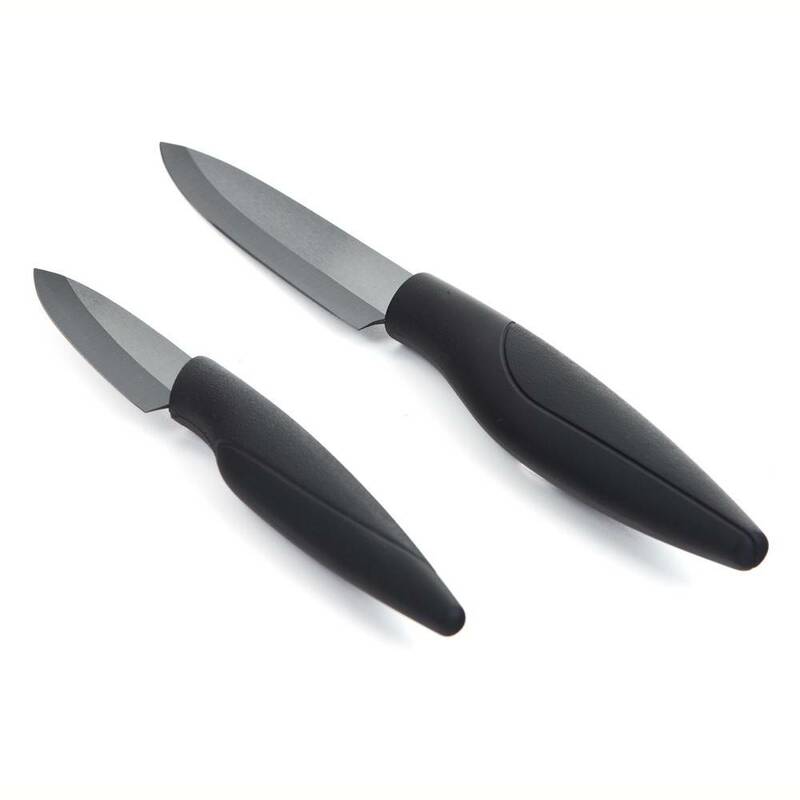 The paring knife as well as the kitchen knife are the most used to cook. 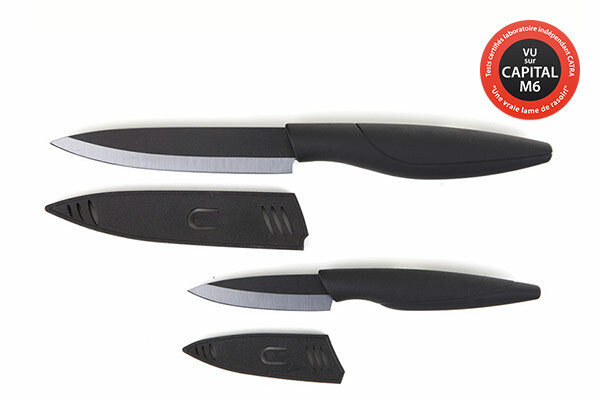 The ergonomics of their handles have been created to ensure great comfort in everyday use. 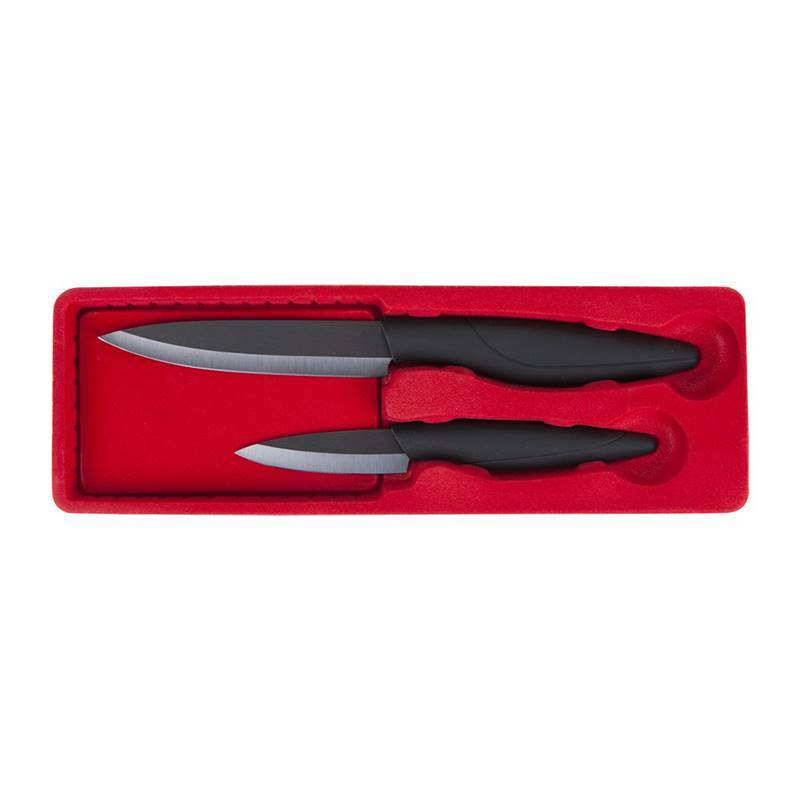 The soft touch finish of their ABS handles guarantees a good grip to make all the precision cuttings. 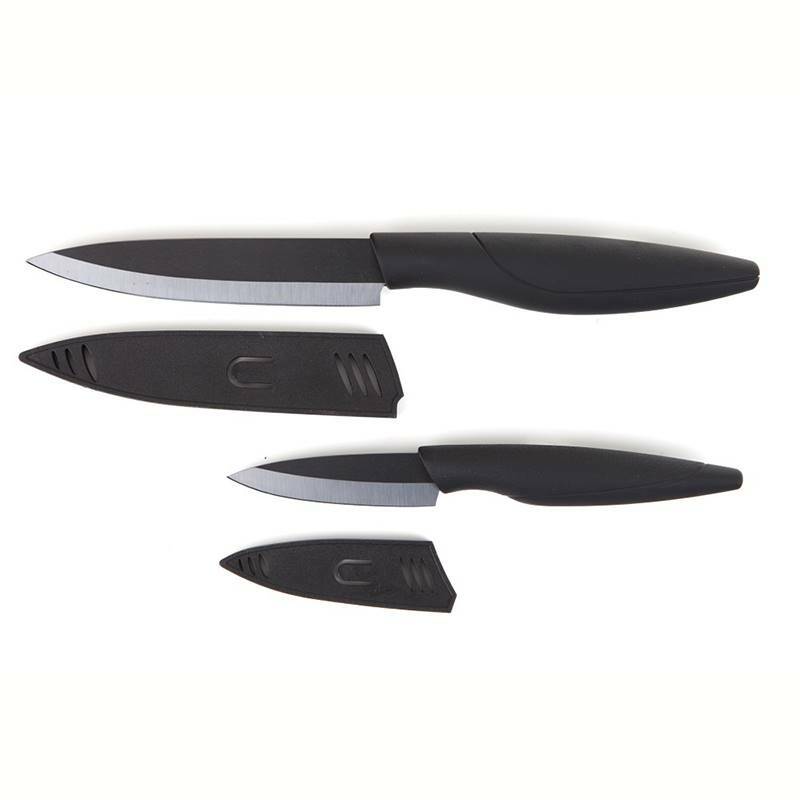 Even if their black ceramic blade remains fragile, these knives can be easily cleaned, as they are dishwasher safe. 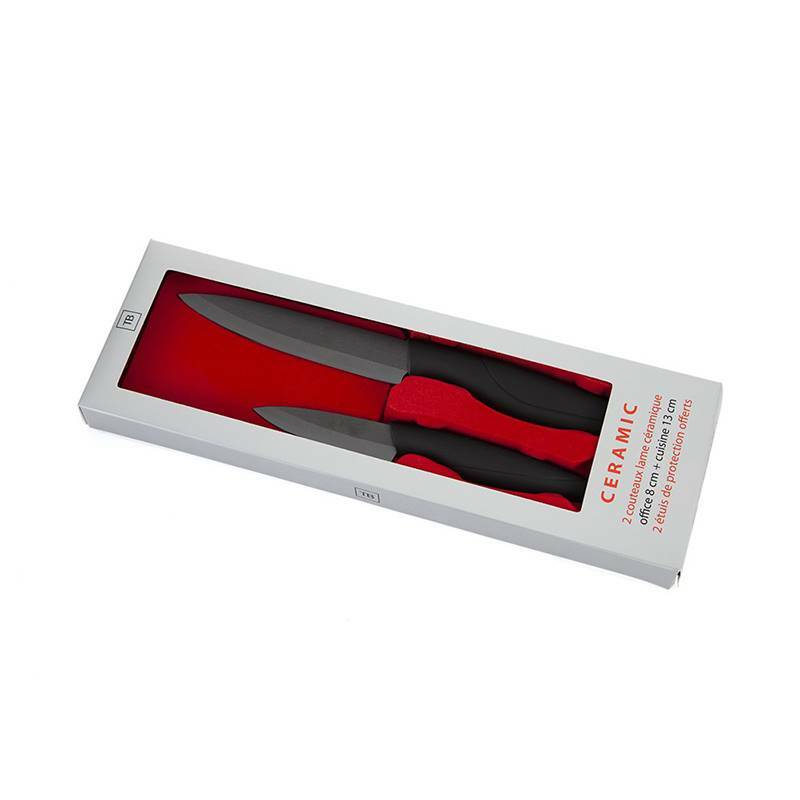 This ceramic knife set is delivered with protective sheath to secure and store their black blades.